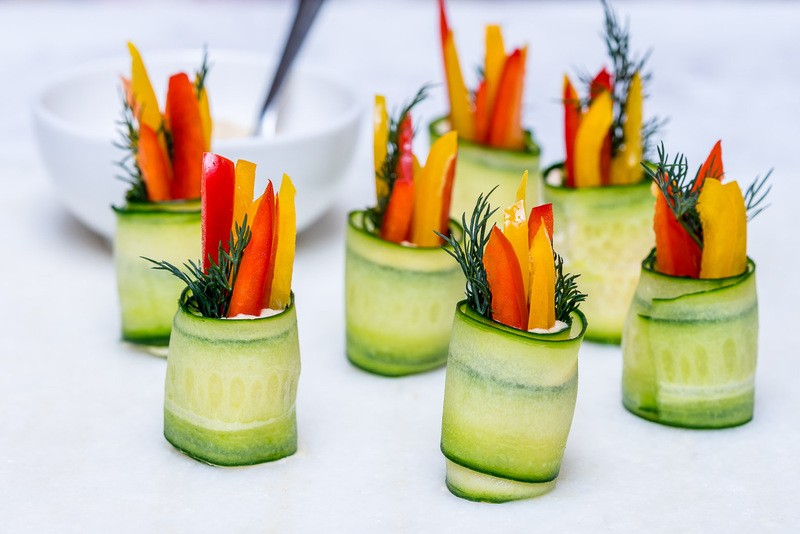 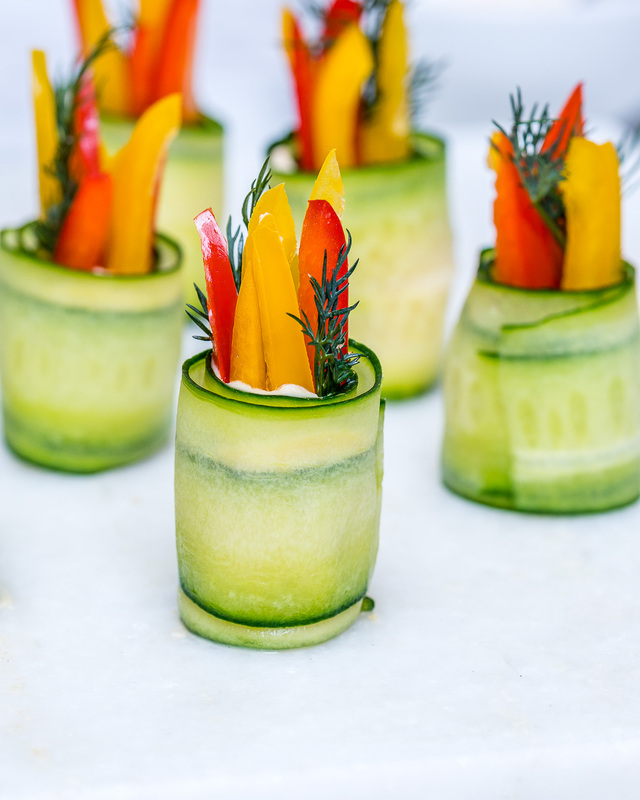 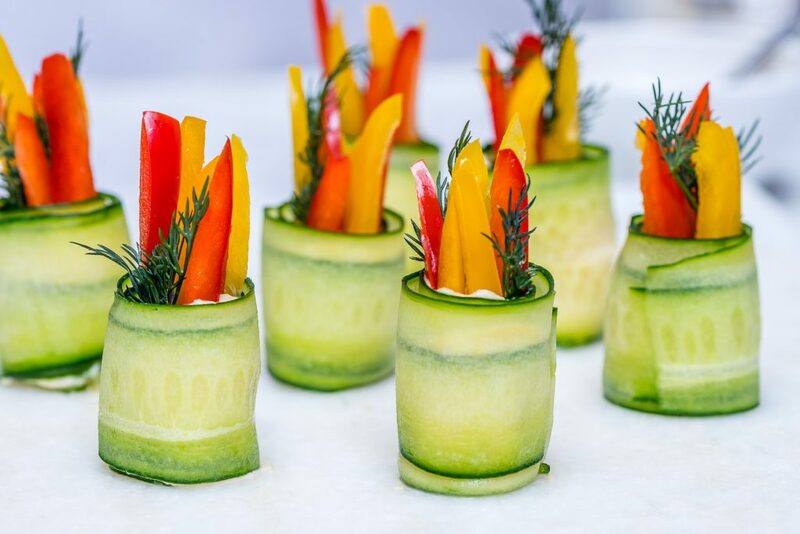 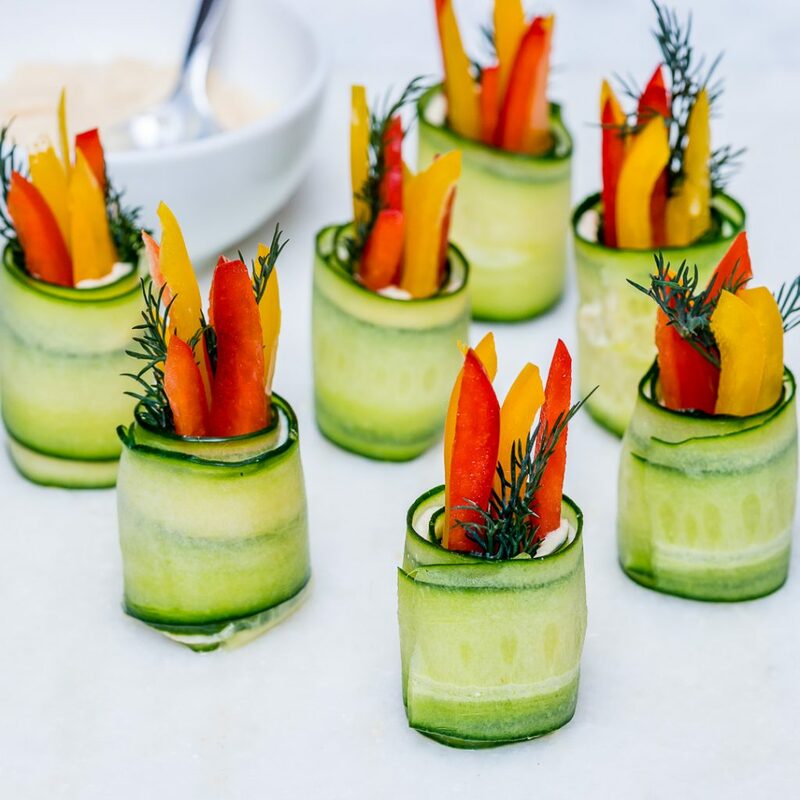 🐇 🥕 Such a CUTE + QUICK idea to add to your Springtime Easter entertaining this weekend! Using a vegetable peeler, slice the cucumber into thin pieces. 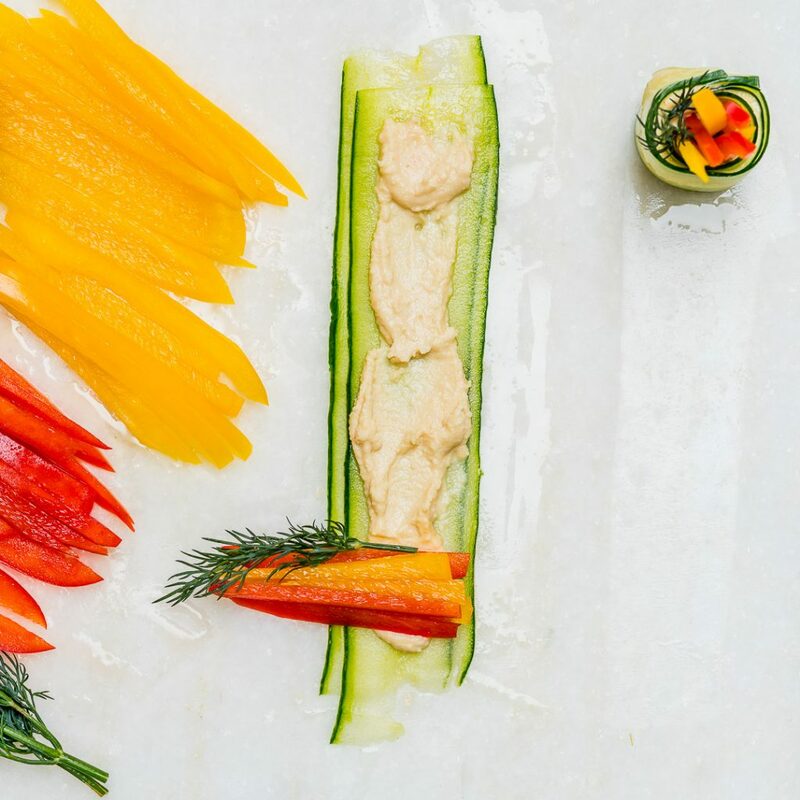 Spread a thin layer of hummus down each cucumber slice. 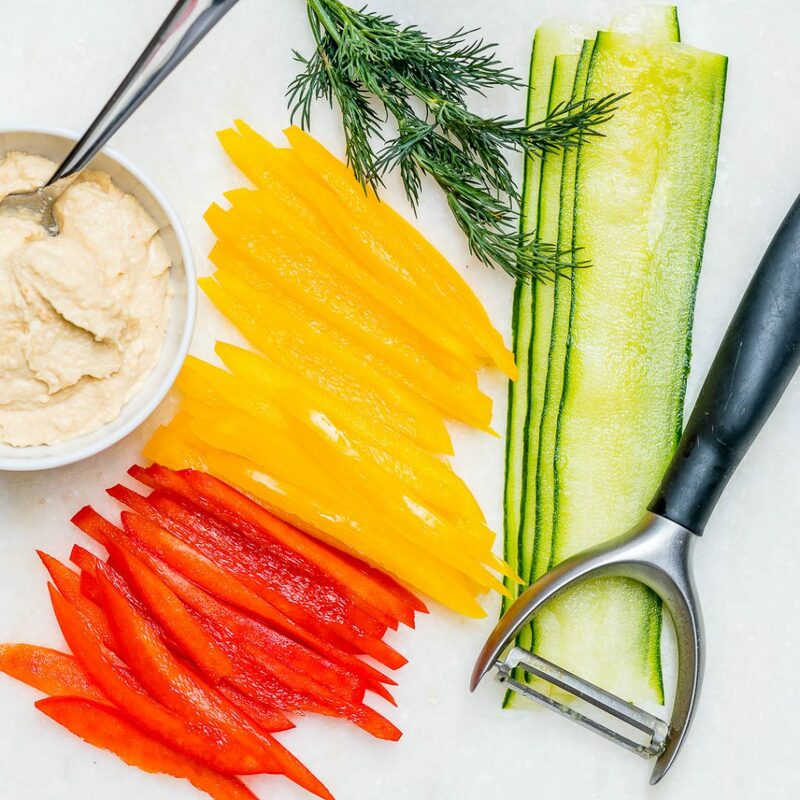 On one end, place a handful of bell peppers, along with fresh dill.